A delightful mix of hot and sweet! Blend ingredients and refrigerate. 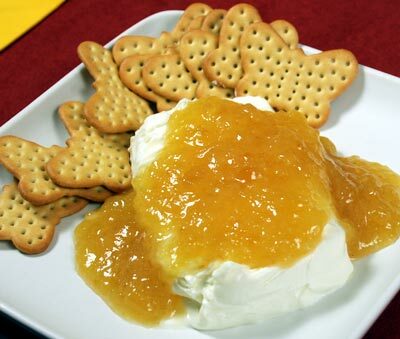 Pour over a block of cream cheese and serve with crackers.